Several Augustana alumni are participating as members of "Crew 52" as part of Super Bowl 52 on Feb. 4. Pictured are some of the items they received as part of their volunteer assignment. See more photos at the end of the story. For many Minnesota Vikings fans, the hopes of “bringing it home” to Minnesota were dashed after a brutal NFC Championship playoff loss to the Philadelphia Eagles. But for a few Augustana Vikings fans, being a part of “Crew 52” almost makes up for the loss by the “other” Vikings, including alumnus CJ Ham ’16. Almost. Crew 52 is the name given to the 10,000 official volunteers who are helping welcome more than 1 million visitors expected to participate in the 10 days of activities leading up to the Feb. 4 Super Bowl. Held at U.S. Bank Stadium in Minneapolis, the 52nd Super Bowl features former Minnesota Vikings linebacker (and South Dakota native) Chad Greenway, whose Vikings jersey number was 52, as the official captain of the crew. The crew includes a few people with ties to Augustana University. Crew 52 volunteers were asked to serve a minimum of three shifts between four and six hours each. Volunteers will help the Minnesota Super Bowl Host Committee welcome visitors at various public gathering points such as airports, skyways, hotels and events to help ensure guests have the best experience during their time in Minnesota. Festivities kicked off Jan. 26 and run up to the big game on Feb. 4. Swenson will also be working as a captain at Super Bowl Live outdoors downtown along Nicollet Mall. 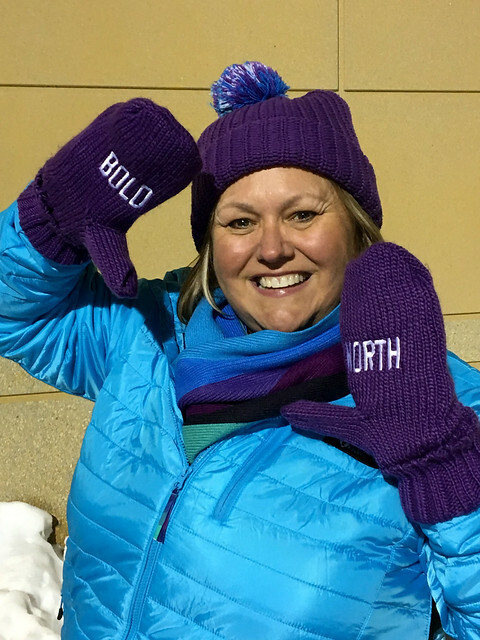 Along these eight blocks, visitors will have a number of activities to welcome guests to the “Bold North.” Target has outfitted the volunteers with uniforms, with colors that represent the northern lights. In her day-to-day life, Swenson is an executive team lead at Target, a position she’s held since 2000 after 15 years working in youth ministry. Jackie Payne, a development officer for Augustana, talked about her experience applying to be a volunteer when she was interviewed by KELOLAND Living in early January about her excitement to be a part of Crew 52. Payne chose to work her volunteer shifts the weekend prior to the Super Bowl to be a part of history. Miriam Ring ’85 loves sports and loves Minnesota, which is why she volunteered to be a part of Crew 52. Ring is working at the Super Bowl Live event along Nicollet Avenue, which features interactive Minnesota and football-related activities, concerts and a “Kitty Bowl.” Ring and Swenson are a few of the members of the Augustana’s class of 1985 who are Crew 52 members. She applied as soon as the opportunity was announced. Rowen will be welcoming visitors to the Mall of America. The call for volunteers went out in March 2017, which is when Kristi Peterson ’96 applied. In July, she received an email to interview, was interviewed at the end of August, and in October, was notified that she was selected. Peterson attended orientation in November and was notified of her role at the end of the month. She was assigned to work at volunteer headquarters in downtown Minneapolis. The interview process focused on why the applicant wanted to volunteer, their knowledge of Minnesota, previous volunteer experiences and if they were born or raised in Minnesota, Peterson said. Get involved and giving back was one of the many things Peterson said she learned while at Augustana. Peterson has lived in the Twin Cities since graduating and volunteered for several major events, including the Final Four (2001), Republican National Convention (2008), Major League Baseball All-Star Game (2014), Ryder Cup at Hazeltine (2016), Solheim Cup in Des Moines (2017), and now Super Bowl 52 in Minneapolis. Volunteers aren’t the only connection the Augustana Vikings have to the Super Bowl. Brian Gerry, Augustana’s head athletic trainer, will be cheering for the Eagles on Super Bowl Sunday. This Minnesota Vikings fan changed his allegiance before the NFC Championship to watch his son, Nate, a linebacker and special teams member for the Eagles. Gerry grew up in Sioux Falls and was a Minnesota Vikings fan starting with Fran Tarkenton, Chuck Foreman, Alan Page, Carl Eller and the rest of the “Purple People Eaters” era. His first professional job took him to Tennessee and outside of Vikings coverage. After moving back to Sioux Falls and raising a family, the Gerry family then cheered for the Nebraska Cornhuskers when Nate played for them and today are Eagles fans. “If I had a dollar for everyone who approached me prior to the NFC Championship game with the comment, ‘I am a Vikings fan and I will be cheering for them — but I hope Nate plays well,’ I could probably retire and buy a condo in Florida,” Gerry said. For the Gerry family, cheering for the Eagles is a no-brainer. They will be attending the game at U.S. Bank Stadium — Brian, his wife Kelli, son Matt, daughter Jennifer and her husband, Cody, and granddaughter, Elaine. Ring is sticking with the NFC and cheering for the Eagles, too. For other Vikings fans, deciding who to cheer for isn’t as easy. Rowen is holding out for a selfie with a player as part of her volunteer gig at the Mall of America — and that’s who she’ll root for, she said.